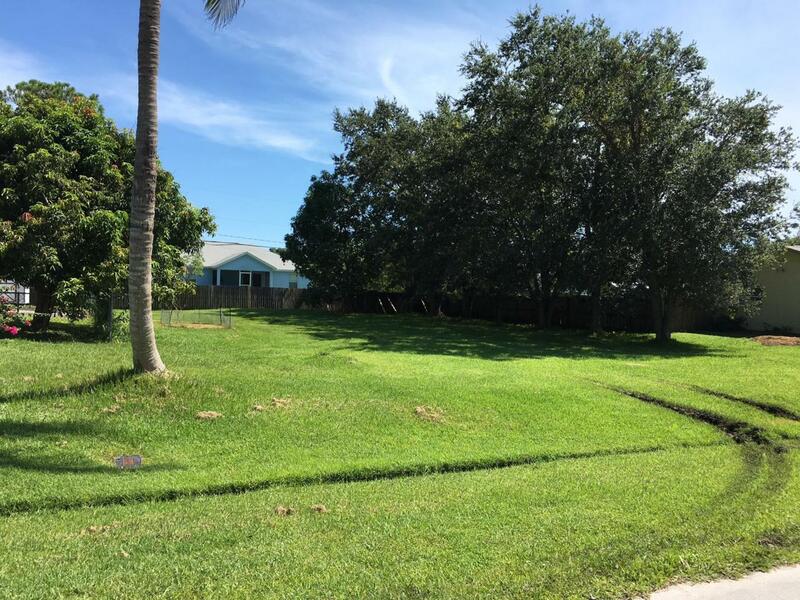 This CLEARED LOT is in a great location and ready for your brand new home!! Just south of Crosstown that gives easy access to I-95, shopping and eventually US1!! Once building your home you can get into the Florida lifestyle by enjoying Mango smoothies by the pool, Mango's provided by the fully mature Mango tree in the back section of the property. It's roughly 12 miles driving distance to Jensen Beach Park! That means in no time your at the beach watching the sun come up, getting ready for a full day of surfing, tanning, beach combing and last but not least...fishing! If you have a boat, there are multiple boat ramps in the area, so your good to go for a day out on the water. And if things go south, Port St. Lucie Hospital is just 7 miles away.